Legend by Marie Lu is the first in a YA dystopian trilogy and tells the story of Day and June two teenagers on the opposite sides of the political fence. June is a young government soldier, while Day is a freedom fighter. When June’s brother is killed during a raid on a hospital in which Day is taking part, their paths collide. The romance. It’s an old trope, but an effective one, to have the protagonists fall in love but be unaware that they are in fact mortal enemies because of their political viewpoints. (see You’ve Got Mail, Pillow Talk, The Shop Around the Corner)The added personal motivation of Metias’, June’s brother’s death adds an extra element to the mix. Lu builds up an excellent tension for the reveal of the identities to each other. She actually had the revelation take place earlier in the book than I’d expected – however, it works well, as the rest of the book is devoted to finding out the truth behind Metias’ death. The setting. I found Lu’s world nicely written. The dystopian side of it is very subtle at first, and it’s only when we learn more about it that its nature really becomes apparent. This fits in with June’s growing understanding of her world. I liked that our learning about the world was tied into the mystery of Metias’ death. The characters. I really liked both June and Day and was fascinated by the parallels, contrasts and comparisons drawn between them. Sometimes it was a little heavy handed though – it didn’t need a character to explicitly say that their lives could have been the same had Day’s not taken a different turning at one point. I liked that June was very book smart, but is rather naive and trusting whereas Day is equally intelligent, but his knowledge is more street smarts. Unlike June, his experiences have made him bitter and not very trusting. I liked that their relationship with each other made them both really think about their points of view. The narration. I found it hard to become engaged in the audio narration of this book. I personally didn’t enjoy Mariel Stern and Steven Kaplan’s narration, which I found rather flat. That is my own opinion, and of course you may enjoy the narration. Here’s a sample. All in all, I really enjoyed Legend and gave it four stars out of five. I look forward to continuing with the series. As it’s now near the end of 2013, I feel it’s about time I did my review of the top books I read this year. First of all, some statistics. According to GoodReads, I have read an incredible 115 books this year! I am certain that this is partly due to Audible and my being able to listen to books during my nightshifts. As I am moving onto day shifts soon, I suspect my total will drop for next year. As an item of interest, the longest book I read was A Memory of Light by Robert Jordan and Brandon Sanderson at a total of 909 pages. So without much further ado, onto the retrospective. Here, in no particular order, are my favourite books of 2013. [book-info title=”A Memory of Light” author=brandon-sanderson-2] A Memory of Light is, of course, the final book in Robert Jordan’s magnum opus The Wheel of Time, completed by Brandon Sanderson after Jordan’s death. There was a lot of pressure and expectation on this book; the series has been ongoing for nearly 25 years and had a cast of thousands as well as hundreds of narrative plot threads. Sanderson was faced with a real challenge to pull this all together and to create a satisfying ending in a world he had not created. While not perfect, I felt the book was a wonderful farewell to much-loved characters and was emotionally satisfying. [book-info title=”Cinder” author=marissa-meyer-2] Cinder is a fantastic blend of fairytale and sci-fi. I loved this book because of the creative concept, the humour, the wonderful characters and witty writing style. Sci-fi is not my favourite genre, and I was curious to see how well it would integrate with the fairytale world of the Brothers Grimm, but Meyer did a wonderful job on this. I can wholly recommend it. Read my full review of Cinder. [book-info title=”Emperor of Thorns” author=mark-lawrence-2] Emperor of Thorns is one that really sneaked up on me. I had disliked Prince of Thorns, the first book in the trilogy, mainly due to the unsympathetic main character. Reluctantly I was persuaded to read the second book and finally the third. Due to Lawrence’s wonderful character development I began to really care about Jorg, or at least to understand him better, so the ending came as a real sucker punch to me. Any book that can leave me feeling as emotionally drained as Emperor of Thorns has to be worth reading. [book-info title=”Emerald Green” author=kerstin-gier-2] The real charm of this and the rest of the Gem Trilogy is the main character Gwyneth. She is just so charming and engaging it’s hard not be sucked into her story. The time travel concept is very interesting and well done. It should be noted that the Gem trilogy is best read as a marathon – the books are not very self-contained so it’s best to read the story as a whole. Read my full review of Emerald Green. [book-info title=”The Golem and the Jinni” author=helene-wecker-2] The concept of The Golem and the Jinni – a golem and a jinni emigrate to late 19th century New York and form a friendship – is very fresh and engaging. I also loved Wecker’s detailing of the New York of the time, which felt so real, as well as the characterisations and interrelationships between the characters. This is a wonderfully charming novel that I heartily recommend. Read my full review of The Golem and the Jinni. [book-info title=”The Darkest Minds” author=alexandra-bracken-2] I was hooked on this book from the first few chapters I read. The brisk narrative style kept me turning page after page after page and I was very invested in the characters. I was intrigued by the dystopian setting and felt it worked very well. I have yet to read the sequel, but I’m looking forward to it. Read my full review of The Darkest Minds. [book-info title=”Eleanor and Park” author=rainbow-rowell-2] Eleanor & Park is a sweet coming-of-age romance between two outsiders Eleanor and Park. I loved Rowell’s writing style and the characters felt very real and engaging. I could easily imagine meeting Eleanor or Park on the bus into town. This is the first book of Rowell’s that I have read, but I will certainly read more of her work. Read my full review of Eleanor & Park. [book-info title=”Allegiant” author=veronica-roth] Allegiant is the final book in Roth’s Divergent trilogy. While not without flaws, Roth’s willingness to break YA dystopian tropes along with engaging characters and a beautiful writing style made this a wonderful, emotional read. Do you agree with my thoughts? Let me know in the comments. As I may have mentioned before, my job requires me to work regular nightshifts. Now, it’s a very reactive job, so some of the time you are waiting around for something to go wrong. That is the point at which I rely on my audiobooks to get me through the nights. I need to keep my eye on the computer screen at all times to watch for alerts, so I can’t really focus on a Kindle or other reading matter. However, in those circumstances, audiobooks are a real lifesaver. I can keep my eye on the screen while still enjoying my story. Having my mind on the book also helps me stay awake. As well as nightshifts, I also enjoy listening to a few chapters of a book before going to bed. With Whispersync for Voice it’s even awesomer. During my breaks I can pick up the Kindle book for a bit of variety and it keeps my place. I’m certain I wouldn’t get through as many books as I do if it weren’t for these nightshifts. From January I’m moving to regular dayshifts so I fear my book consumption may drop, unfortunately. One production I listened to during this week’s nightshifts was the BBC Radio 4 production of Gaiman’s Neverwhere starring James McAvoy, Natalie Dormer and Benedict Cumberbatch which I picked up from Audible. This is a wonderful production of a great story and I loved it. McAvoy in particular really made me laugh with his interpretation of Richard Mayhew. I understand it’s going to be repeated on the radio over the festive season, so I would definitely recommend catching this one. When do you like to listen to audiobooks? Let me know in the comments. From Netgalley I picked up Hobbit Lessons – A Map for Life’s Unexpected Journeys by Devin Brown. 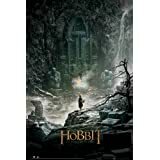 The blurb says: For generations, The Hobbit has been loved and shared by readers who thrilled to the challenges faced by the band of fourteen. Most didn’t realize, however, that some of life’s greatest lessons could be learned by going along on that journey. Discover these and other exiting truths from Bilbo Baggins journey—without the danger of being eaten by a dragon. It sounded a fun read, so I picked it up. Since I loved Cinder and Scarlet so much I used an Audible credit to preorder Cress, a book I also have on Kindle preorder. I’ve been hearing a good deal of buzz about Veronica Rossi and when her Under the Never Sky was on special I picked it up on both Kindle and Audible. I’m not 100% certain that the story will appeal to me, but for the price I paid I am certainly willing to give it a try. So I’ll take this opportunity to wish you and yours a very Merry Christmas and all the best for 2014. I will be posting a review on Monday 23rd December and will do a year roundup and anticipation of 2014 the on Friday 27th. Have fun! The Desolation of Smaug is the second in Peter Jackson’s trilogy based on J.R.R Tolkien’s The Hobbit and stars Martin Freeman, Richard Armitage and Ian McKellen and continues the story of our party of dwarves accompanied by Bilbo the titular hobbit and Gandalf. It follows them through Mirkwood and their encounter with Thranduil’s woodland elves and finally to the goal of their quest, the Lonely Mountain. However, they still have a lot of work to do before they can reclaim their homeland and all the gold it contains. Check back at a theatre near you Christmas 2014 to find out what happens. Cinder by Marissa Meyer is a YA sci-fi novel and is the first in a series of four books based on classic fairytales. This first one is based on Perrault’s Cinderella. Many elements of the original are incorporated: the persecuted heroine, the wicked stepmother and stepsisters, Prince Charming, a ball at the palace, the protagonist’s desire to attend thwarted by her stepmother, the pumpkin turned coach, footwear left on the palace step. Cinderella is an interesting choice for the basis of a YA novel. Generally speaking, YA heroines tend to be strong, proactive heroines (we’ll try to forget Bella Swan for a moment). This fairytale princess is the epitome of a passive character. In part, that is why the tale is so beloved. The idea that a fairy godmother could suddenly whisk you away from your humdrum existence to a life of luxury and privilege is very appealing to many people. it’s the ultimate rags to riches story. As a character though Cinderella is, well, boring. She does very little to earn her happy ending other than to be generally nice. Fortunately, that is one aspect that Meyer did change for her novel. Her Cinder is strong, assertive and willing to go after what she wants. Having said that, just as Cinderella’s innate goodness leads to her life being changed, Meyer’s Cinder’s cyborg nature has a significant influence on her life. The one major aspect not carried over from the fairytale is the fairy godmother (or magic tree, depending on what version you’re looking at.) Meyer’s Cinder doesn’t hang around waiting for someone to come along to wave a magic wand to change her life. Certainly, she starts off the story in a comparatively powerless position, but she doesn’t sit around passively and wait for her fairy godmother to improve her life, she goes out and works for what she needs. She needs transport; she gets out and gets her hands dirty by fixing up a car. In essence, Cinder is her own fairy godmother. Like Cinder, Meyer’s Prince Charming has a lot more depth than the prince of the fairytale. We can see just what a difficult position he is in. I have the impression that things are only going to become more difficult for Kai as the series progresses. Sci-fi twists of the classic tropes of the tale. I just loved how Meyer incorporated all the favourite aspects of the original but gave them a wonderful sci-fi twist. I had such fun playing spot the original. Wonderful characters. As I have mentioned above, the protagonists of Cinder are such wonderful rich characters and I loved reading about them. The narration. Rebecca Soler performed the narration for Cinder – as she does for the other two released/soon to be released books in the series. I absolutely adored her reading of the book. She gave each of the characters unique voices which fit perfectly with my mental picture of them, and she brought out Cinder’s humour too. Here’s a sample. There was nothing I didn’t enjoy about Cinder – except that it wasn’t long enough! I’d have happily read a book twice as thick. As you might have guessed I gave Cinder five stars out of five.